Effective website copy stresses benefits rather than features. 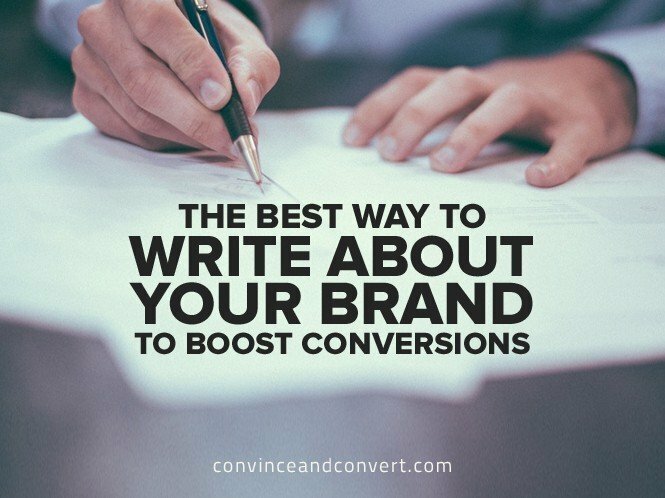 However, to substantially boost conversions, content developers must understand the benefits of what they are selling in a very detailed way—in fact, talking about benefits vaguely, or in a way that doesn’t connect with the audience, could be worse than not talking about benefits at all. Let’s take a look at how copywriters and content marketers can maximize the persuasive power of benefit-based copy. Application Benefits: Product/service costs less, easier to use, greater durability, etc. Corporate Benefits: Product/service helps meet corporate goals such as greater workplace sustainability, etc. Customer Service Benefits: Dazzling tech support, fast response time, etc. Relationship Benefits: Personnel are fun to work with, company is financially stable, etc. Personal Benefits: Product/service could get me promoted, relieve work stress, give me status, give me more free time, etc. In B2C, corporate benefits don’t apply, making the job of identifying important benefits a bit easier. Nevertheless, copywriters and content marketers must understand their audience intimately to talk specifics within these four or five types of benefits with persuasive accuracy. A major reason web content doesn’t convert is a failure of content creators to understand what really motivates their buyers. This is a danger inherent when content creation is outsourced, but even when handled in-house, copywriting can be fatally disconnected from the real world of buying and selling. Here are two powerful ways content creators can connect. They take effort, but they pay off in website revenue production. When discovery meetings are comprised of marketers and company leaders, content creators obtain insightful input, but not necessarily what they need to know about benefits. For those insights, sales and customer service people are needed because they are in the trenches, actually talking to customers and prospects and hearing firsthand what motivates them to buy and what keeps them from buying. They have not only a sense of the important benefits, but also a sense of the unimportant benefits. Knowing what is unimportant is as vital as knowing what is important. Droning on about irrelevant benefits bores website visitors and confuses the issue. Content marketers should interview sales and customer service personnel in a structured way, asking for specific selling points relating to each of the five benefit types—for instance, naming the three most important and three least important. Hands-on, direct experience gives content creators a rock solid foundation for presenting benefits (among other things). In B2B, this can be done by accompanying sales reps in the field, making initial sales presentations, follow-up presentations, and routine customer service calls. In B2C, phone interviews and online surveys are usually more practical. Either way, asking customers and prospects about benefits in the same systematic way, just as one would in a client discovery meeting, yields tremendous insight. If a company is struggling to justify the time and expense of training content creators in this way, I would ask: Can it afford not to? If the revenue potential of increased conversions does not justify the expense of giving writers the proper foundation to produce them, there is probably a serious flaw in the product/service’s pricing structure. From the freelance/agency point of view, spending time with the client’s customers is a great investment, as it gives writers a depth of understanding that makes it exceedingly difficult for competitors to match. For one-off assignments, the investment may or may not make sense depending on the value of the job, but it is invaluable for ongoing client engagements. Lead with application benefits. If the product/service doesn’t provide the sought-after benefits, the other types of benefits won’t matter. Hit them over the head. For web pages addressing multiple audiences, explicitly call out benefits that apply to specific segments. For instance, an HVAC website discussing relationship benefits of its services may learn through discovery to stress a) the courteousness of service techs to consumers and b) the extensive training of service techs to general contractors. The subheads and design used to communicate these ideas should enable visitors to quickly zero in on the appropriate message. For product/service pages and landing pages, strive to make all headlines and subheads incorporate a high-value benefit. Let customers do the talking. Customer testimonials are highly persuasive for communicating benefit—if they are employed systematically and not arbitrarily plastered across the website with no particular theme. A simple but effective technique: Introduce each testimonial with a subhead relating to the key benefit, such as “The Most Courteous Service Techs in the Valley”. Get personal. Don’t underestimate the power of personal benefits, even in B2B. Getting at these can be difficult, as people—especially B2B buyers—are not eager to discuss “what’s in it for me” with strangers. In discovery meetings, surveys, and phone/field interviews, I’ve found it helpful to prompt interviewees with specific personal benefit options and ask them to select all that apply, and then rank each of them in importance on a scale of 1–10. Finally, avoid the temptation to pile on benefits. Repeatedly stressing the same set of benefits in website copy has a more powerful effect than a laundry list. Emphasizing only the truly important benefits draws visitor attention to them. Benefit focus enhances brand perception; it shows you and customers care about the same things. Plus, a laundry list of benefits could make visitors skeptical—if an offer is too good to be true, maybe it isn’t. As in all things related to content creation, it takes a lot of work to be focused and brief. Make sure your benefit messaging does not suffer from being too sparse… or seriously overgrown. Brad Shorr has over 25 years of experience in marketing and sales with skills in SEO copywriting, social media marketing, and content strategy. Brad is currently the Director of Content Strategy at Straight North, an online marketing agency specializing in PPC and SEO.